Often known as the perfect cheese for a low-fat diet, cottage cheese was used since the ’70s. It has a creamy texture and salty taste. And the cheese has several other benefits most of us are unaware of. But not anymore. Read on, and you will know more about the benefits of cottage cheese. How Is Cottage Cheese Good For You? What Are The Benefits Of Cottage Cheese? 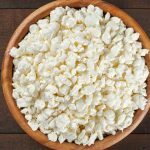 What Is The Nutritional Profile Of Cottage Cheese? Cottage cheese is an excellent source of calcium, B complex vitamins, and vitamin A – all of these contribute to its goodness. The calcium in the cheese can build bone strength and prevent osteoporosis. The B vitamins give energy, and vitamin A does good to your eyes. Well, there’s more to cottage cheese that we need to know. Cottage cheese is used in the popular Budwig Diet, which is one of the best diets for cancer. The diet primarily includes cottage cheese and flaxseed oil and is known to aid cancer treatment. 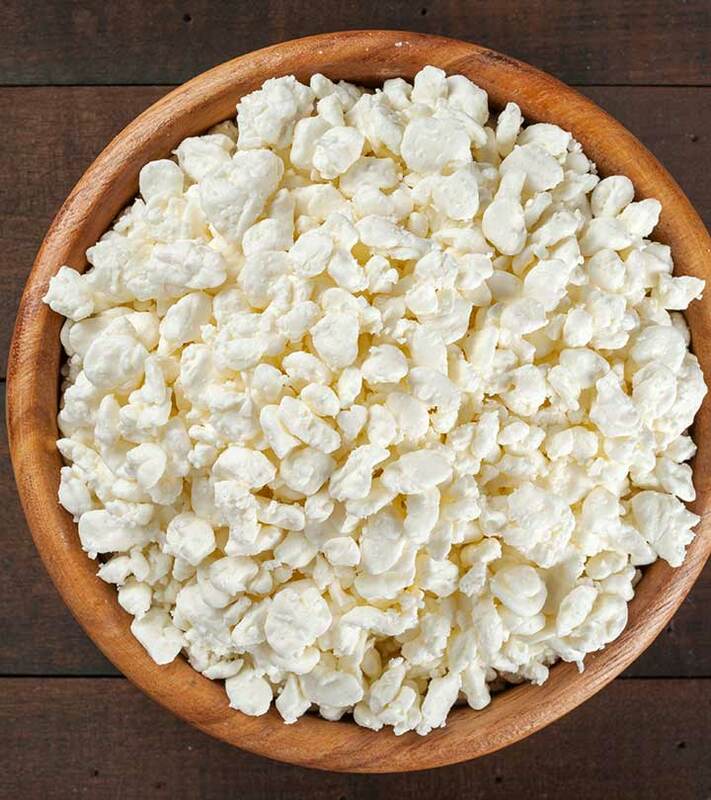 Cottage cheese is replete with sulfur protein, some healthy saturated fats, and other important nutrients like B vitamins, phosphorus, calcium, and selenium. Fermented products like cottage cheese also offer the beneficial probiotic bacteria, which are known to prevent digestive cancers. The Budwig diet has been found to counter breast cancer as well (1). Other studies also show how the diet had increased mortality among women already battling breast cancer. Richard Nixon, the 37th US President, usually had cottage cheese and a pineapple ring for lunch. In fact, he had the cheese flown in from Knudsen’s Dairy in Los Angeles. As per the American Diabetes Association, cottage cheese is the best cheese choice one can make. And low-fat cottage cheese is preferable. Cottage cheese is one good source of protein, a nutrient all the more essential for diabetics. It is also a brilliant source of calcium and vitamin D – which is a potent combination for treating diabetes. Studies have shown that women consuming adequate levels of calcium and vitamin D (1,200 mg and 800 IU respectively) daily were 33% less likely to suffer from diabetes. The abundance of calcium keeps cottage cheese quite high on the list of must-haves for bone health. 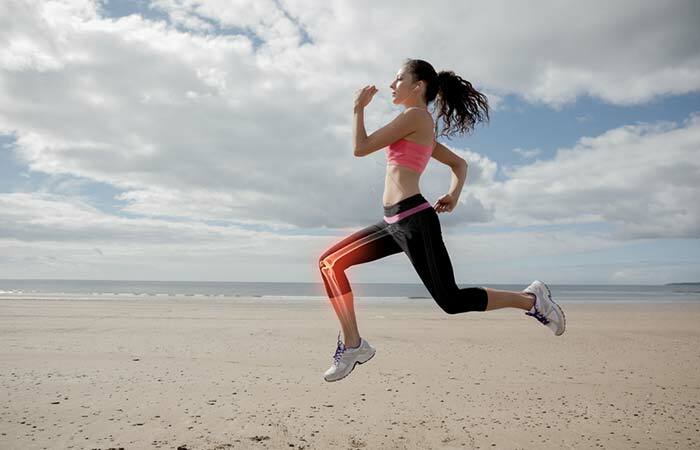 This is another reason it can also aid osteoporosis treatment. And apart from calcium, the cheese also boosts your phosphorus intake. Both the minerals make up hydroxyapatite – which is a mineral that contributes to bone density. Several studies show how the lack of both calcium and phosphorus can be detrimental to the bones (2). The calcium in cottage cheese, surprisingly, can reduce heartburn and prevent an upset stomach. And cottage cheese is one good source of probiotics – which is known to boost digestive health and prevent other related issues like constipation and irritable bowel syndrome. But the digestive benefits of cottage cheese may not apply to people who are lactose intolerant. If you are lactose intolerant, we recommend you stay away from cottage cheese and consult your doctor. Cottage cheese contains vitamin B12, which is one nutrient known to reduce excess levels of homocysteine. Excessive homocysteine can cause heart problems and other neurological issues, which cottage cheese might prevent. Cottage cheese is also naturally low in fat, which is another reason it might be good for heart health (3). However, more studies are required in this regard. Please consult your doctor before using cottage cheese for this purpose. Cottage cheese is a steady source of muscle-building protein (one cup contains 27 grams of the nutrient). More importantly, the cheese contains casein protein – which gets digested slowly and offers your body a steady supply of important amino acids. And the riboflavin in the cheese helps metabolize protein. 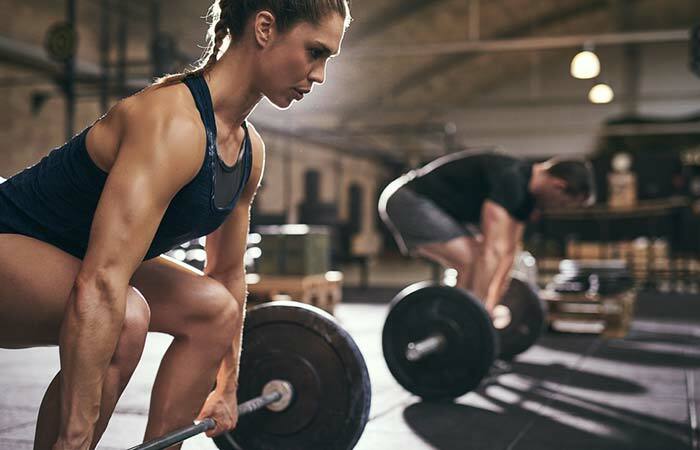 It boosts bone health, which is especially important for bodybuilders. Eating cottage cheese before going to bed is one good way to get the protein your muscles need. The cheese also helps prevent muscle cramps, thanks to its natural sodium content. Sodium helps maintain normal body-fluid balance and even works with other electrolytes to improve muscle contractions. The protein in cottage cheese can keep you full, and this means you eat less, which means you have a chance of shedding some pounds in a healthy manner. Some research also suggests that calcium (which cottage cheese is rich in) from dairy foods can stimulate fat-burning and suppress fat accumulation – ultimately helping in weight loss. Cottage cheese is also known for its low calorie content. This is another plus if you want to lose weight. Though there is very less research on this, some sources link the immune-boosting properties of cottage cheese to its magnesium content. Magnesium activates various bodily enzymes and supports immunity. The phosphorus in cottage cheese plays a role here. 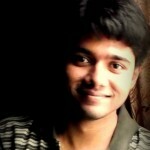 As per research, phosphorus is the second most abundant mineral in the body, and it works great in eliminating waste. And the probiotics in the cheese repopulate the bowels with healthy bacteria, thereby aiding detoxification. It takes 100 pounds of milk to make 15 pounds of cottage cheese. In some ways, cottage cheese can delay the signs of aging and boost skin and hair health. The cheese is a good source of selenium, which fights flaky skin and dandruff (4). Also, the vitamin E and other antioxidants in the cheese fight free radicals and give you healthier skin. Your skin also needs the amino acid proline to produce collagen. Cottage cheese is a good source of proline, and hence, it aids collagen production. Some research says that increasing our vitamin A and zinc intake can cut the risk of vision loss. Cottage cheese contains both these nutrients and can hence play an important role in protecting your vision. However, more studies are needed to substantiate this. Cottage cheese is rich in protein, vitamin B12, dietary calcium, and phosphorus – all of which are required for pregnant women. But ensure the cheese is made of pasteurized milk as the unpasteurized version contains harmful bacteria that can cause miscarriage in pregnant women (5). If you are on a keto diet, full-fat dairy choices are a big YES. 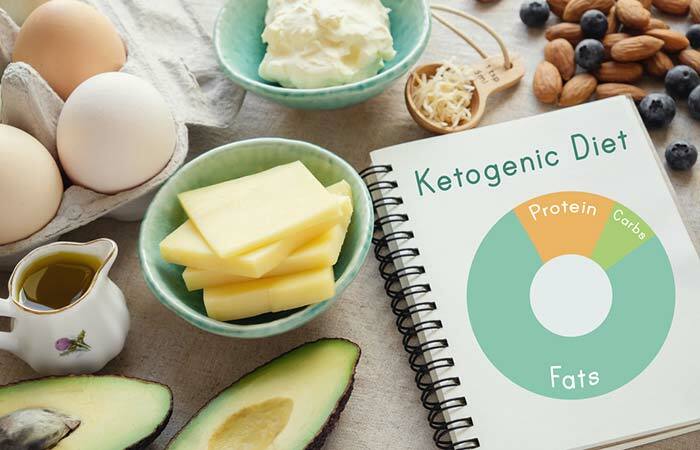 As the name suggests, the keto diet is all about achieving ketosis – which is the phenomenon where your body uses up fat for energy instead of glycogen or carbs. This process works great for weight loss and also cuts the risk of several diseases (6). We have seen the benefits of cottage cheese. These could have been quite unexpected, given the negative picture our societies have painted towards cheese and other dairy products. But cottage cheese does have its own benefits, and it’s time we started realizing them. Which takes us to the next section – the nutrients in cottage cheese that make it what it is. And now, we get to an important debate – is Greek yogurt better than cottage cheese? Can it be a good substitute? Cottage cheese is higher in calories, but it also contains a higher amount of protein. And though low-fat Greek yogurt has less fat, it contains comparatively less protein. And talking about carbs, both fare the same. While cottage cheese contains a lot of sodium (around 800 milligrams per cup), Greek yogurt contains just about 65. Coming to sugar, Greek yogurt has more of it – so cottage cheese could be a better option for someone trying to avoid sugar. But talking about probiotics, Greek yogurt enjoys the upper hand. And this makes Greek yogurt far easier to be digested as compared to cottage cheese. And in case you are wondering if you should always purchase cottage cheese from the market, we have good news for you. A simple process. And all you need is raw milk. You can take half a gallon of raw milk and some salt (for taste). Skim the cream off the milk and store in a mason jar in the fridge for later use. Pour the skimmed milk into a glass bowl and cover with a cheesecloth. Leave it as it is for a couple of days until it gathers a jello-like consistency. No watery whey sitting on the top. Skim off any leftover cream, and dump the thickened milk into a large pot. Put it on low heat for about 10 minutes until you see the milk separate into curds and whey. Pour the curds and whey into a strainer, a butter muslin cloth (and into another bowl), and allow to drain for about 2 to 3 hours. Remove the curds from the butter muslin cloth and add them to another bowl. Crumble them into small chunks. Add salt. You can now pour the leftover cream that you had saved earlier, and mix well. Stir. Your homemade cottage cheese is ready! Cottage cheese has been around since the 1970s, and for good reason. It not only has a sumptuous taste but also offers unbelievable benefits for your health. Within limits, this can be a great addition to your diet. Tell us how this post has helped you. Simply leave a comment in the box below. We value your feedback. What are some healthy ways to eat cottage cheese? Have it with your fruit salad. Add it to pancake batter to make cottage cheese pancakes. Stir it into a pasta. How much cottage cheese can you eat in a day? The recommended daily amounts vary from 25 grams to as much as a bowl. We suggest you talk to your health care provider for the right dosage for you. What are the side effects of excess cottage cheese? As the cheese is a great source of protein, consuming it along with other protein-rich sources can lead to excess protein intake – ultimately resulting in stress on the kidneys and issues with the organs. Also, if you have lactose intolerance, having cottage cheese can lead to allergic reactions and gastrointestinal problems. And given the high amounts of sodium, excess intake of cottage cheese can lead to hypertension, which is not good for the heart as well. If kept in the refrigerator, it lasts for 5 to 7 days. In the freezer, cottage cheese can last up to 3 months. Can we feed cottage cheese to dogs? Yes. The calcium and protein in the cheese can be beneficial for your dog. But avoid it in case it develops digestive issues. What is a good substitute for cottage cheese? Plain Greek yogurt can act as a good substitute. Even ricotta cheese or sour cream can do the trick. “Flaxseed sprouts induce...”. US National Library of Medicine. “Bones need both calcium and...”. WebMD. “Heart matters”. British Heart Foundation. “Top ten foods for glowing skin”. Forbes. “Prevent infections during pregnancy”. Centers for Disease Control and Prevention. “Very-low-carbohydrate…”. US National Library of Medicine.